Without a doubt one of the best parts of summer in the San Joaquin Valley has to be fresh stonefruit from valley orchards. Ripe, juicy and delicious, the valley’s peaches, plums, apricots and nectarines are the envy of the rest of the country. 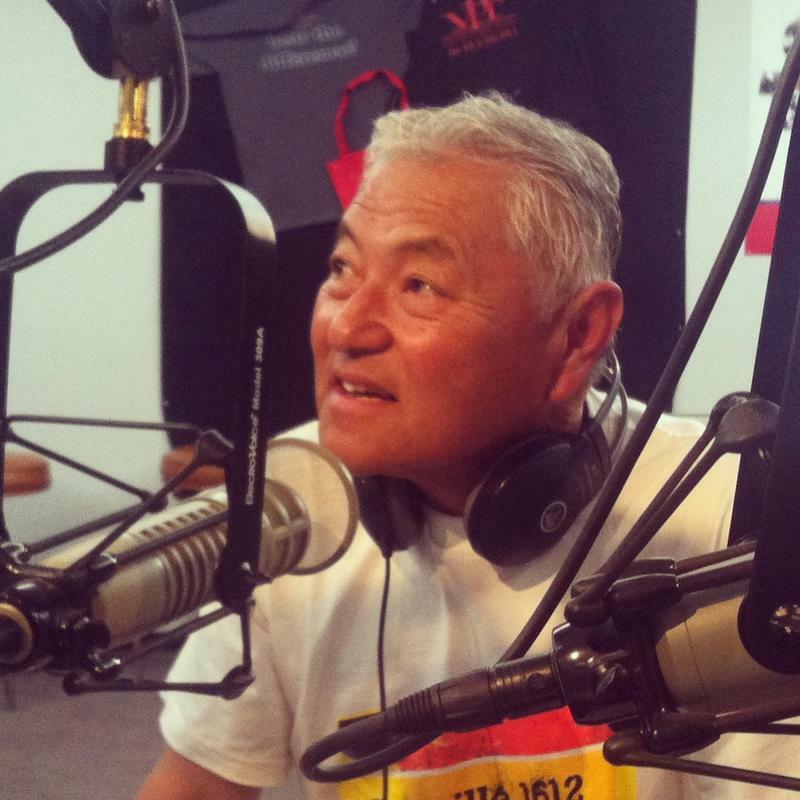 And perhaps no one has done more to boost the profile of our local peaches, and in such a poetic way than our guest today– Del Rey organic farmer and writer David Mas Masumoto. Peaches from his 80 acre farm appear on menus of some of the world's finest restaurants, and his writing has won numerous awards. Mas, his wife Marcy and daughter Nikiko are the authors of a new book called "The Perfect Peach" which combines both recipes and stories on this most delicious summertime treat. The lavishly illustrated book gives readers recipes for everything from proscuitto wrapped peaches to peach gallette. 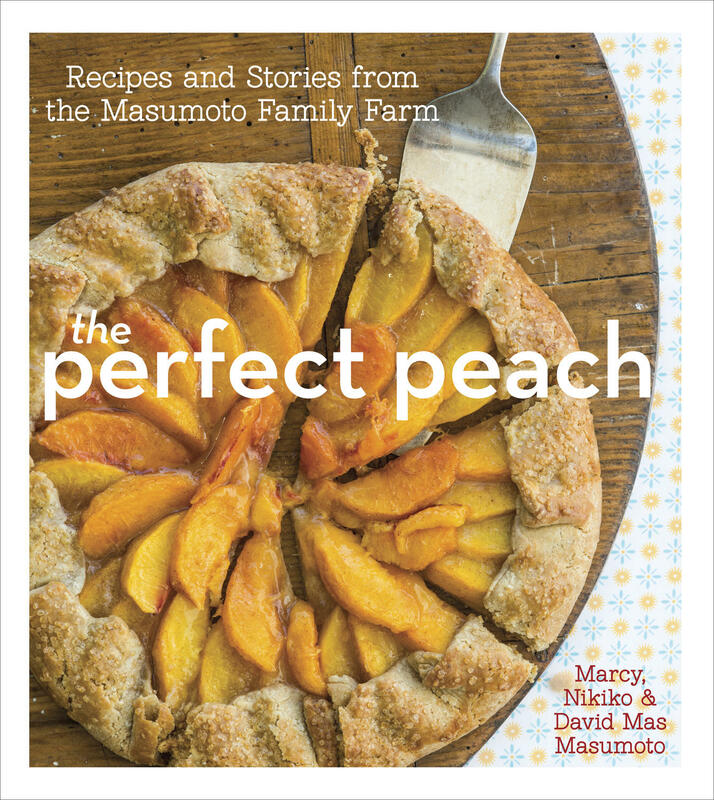 The Masumotos recently joined us in-studio for a talk about life on the farm, writing this new book, and the never ending search for the perfect peach. It’s been an early year, if you remember in April it was very warm, it felt like summer. We also of course had a very, very dry year, so those elements cause the ripening to mature. We’re probably about a week ahead of last year. Which meant it’s like I lost a week of work sometime in the month of May, it just disappeared. So we’re frantically sprinting right now. But because of the warmth, I think the quality is just very amazingly juicy this year, the quality is very good. I’m finding the quality very, very good. Some fruit, one variety the fruit was a little small this year. So we’re trying to understand the dynamics of how to work with small fruit in the marketplace. The marketplace tends to reward big ones, and we tend to have small ones. So we’re trying again to redefine that notion of what is perfection, and the perfect peach isn’t always the biggest one or the reddest one it’s the one that we think has flavor, and that’s what we want to do and instill that sense of memory when you eat our peaches. Marcy: It was a real pleasure to work with Nikiko because of course she learned to cook with me from early on, and so I went from the teacher to the peer in a sense. It was a joy to learn how the difference in styles that each of us had, what we brought to the kitchen basically and this is probably defined by our age by our generation by our era, kind of our enlightenment what influenced us more. So what I brought to cookbook the majority of the time were the dessert recipes, the traditional, the pies the cobblers, the crisps, as well as most of the section on preserving food because that was something that was really important to me, and I fear the loss of that skill, to keep good fruit to enjoy year round. And Nikiko brought a completely different perspective, a new fresh, California cuisine style of cooking, I believe. Nikiko: I didn’t have the depth and wealth of experience that my mom had, so I had to have a really wild approach, at least wild for me. So I did a lot of thinking and imagining the wildest combination I could possibly come up with. And some of the results were things like peach gazpacho. That recipe I literally went into our kitchen with a huge basket of vegetables and just locked myself in there until I came up with something. One of the recipes from that day didn’t work, but the peach gazpacho, I love it, I think it did. So I think maybe in a way our age difference was a strength because my newness meant I had to innovate. 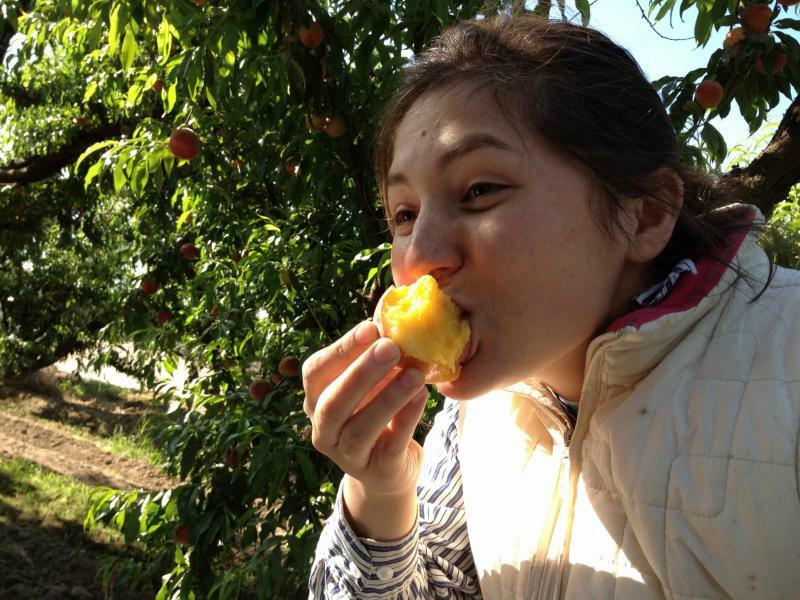 One of the challenges that we faced was I wanted great tasting peaches. The whole industry went through a metamorphosis, where they began to grow peaches that looked good, were bigger, were redder and had shelf life. Older varieties lacked those qualities and they were suddenly gone. All of our varieties tend to have a lot of fuzz because that’s part of that old tradition. When they bred away some of those things, I think they accidentally bred away flavor. So when we set out on this crusade, to keep these things, to keep this flavor, to keep this memory alive in people. We were so very fortunate that the timing worked, as the organic marketplace started to expand, as the local market, the idea of local mentalities, the culture of food started to expand we were right there and our peaches and our farm fit that. Right now there’s a resurgence, there’s a revival going with young people in young communities about food and farming. And you see a lot of young people wanting to resuscitate that connection directly with the land, and I’m really invigorated by that. At the same time, I think one of the goals of our book is to tell a whole story of farming, not just the romantic rock star farmer side of farming, but the real side of farming. The farming that involves questions about uncertainty, how can we do this? Questions about hard work, questions about how to live and work with family. And that’s one of my hopes, is that within the young people movement and our renewed sense of attention to food, that we’re not just cherry picking the privileged story, the story of the fine dining, but we’re also really understanding the policy implications, the implications for the environment, and our own sustainability on the ground for people. Mas: I began farming organically for a couple of reasons, one was when I first came back to the farm I was trying to figure out how can you survive as a small farmer and when we sold into the conventional marketplace, we were just such a small player we were just overwhelmed, and everything was based on production and we didn’t have that big of a farm, we have an 80 acre farm and 25 acres are in peaches and nectarines, so how could we compete? So one method, one thought or approach was if we farmed organically it would be a way for us to differentiate our product. The other one of course was I did my undergraduate work at Berkeley. So I ran away from the farm, kind of got radical, but came back to the farm too. And when I came back I think I did bring some ideas and attitudes and one was definitely to look at the land that we worked through the lens of the environment and the ecology. And organic farming for me fit what we wanted to do on the farm, because it was all about promoting life and that life would then overlap, so when I got married we had children, that was all part of the life of the farm. And organic farming to me is all about sustaining and promoting life. Marcy: I’d like to throw in there as wife and mother as we were contemplating what directions we were going to go with the farm, we had a young child. We live on the farm, we live 20 yards from our vineyards and our orchards. And the requirements for conventional farming are that you post signs with the skull and crossbones when you apply pesticides. And I was thinking how can I tell my 18 month-old toddler to stay out of the front yard because there have been chemicals applied. To me it just made sense especially living in the environment and living on the farm and care for that environment and all of the life on the farm. I think one thing we forget, is that food is alive, especially peaches. It comes from something that is alive. It’s not a commodity, and it’s not a product. So once you start thinking of it in that different frame, you develop a relationship with it. And especially as a farmer, and as a family farmer, we develop relationships with our peaches. We get to know how they grow, what weather they like, the dirt that they like, and we develop those kind of personal relationships. And that’s exactly what we want, we want to personalize our produce, because we commit our passion to it and we hope that that passion is expressed through flavor, and the juices and the nectar and the aroma of our peaches. One of the things that Nikiko and I tried to illustrate in the book, there’s a section called the peach primer. And we purposefully included explanations to the peach lover, to the cook, to the reader, as to how do you select a peach? What is a good peach? What’s the difference between a yellow flesh peach and a white flesh peach? How do you store them? How do you use them? How do you know when they’re ripe? Do you want a really soft peach for a certain dish or a firmer peach? Part of this book is trying to educated readers all about peaches, that I think many people have lost. Generations ago, when we had access to our aunt or uncle or our grandparents who lived on a farm, people had an understanding of the seasonality of food and the qualities of food. And today I think many of our consumers don’t have that opportunity, so we’re trying to share that knowledge, that history that experience through our book with our readers. It’s really tricky to work on a family farm, because you’re living together, and you’re working together and you’re making decisions that are also for the long term too. So you try to combine all these together and you quickly realize if this is going to work or not, and so far it’s working and I think it will continue to work too. It brings out and amplifies all the dynamics in a relationship, for good and bad, at the same time and even working on this cookbook, it was very clear early on that I would have nothing to do with the recipes, and it was fascinating to watch Nikiko and Marcy develop recipes and work together as a mother and a daughter and also as peers too. Eating a ripe peach is a sensory delight, from the aroma of the fruit to the flavor of the nectar and texture of the skin. But what about the sound of eating the perfect peach? 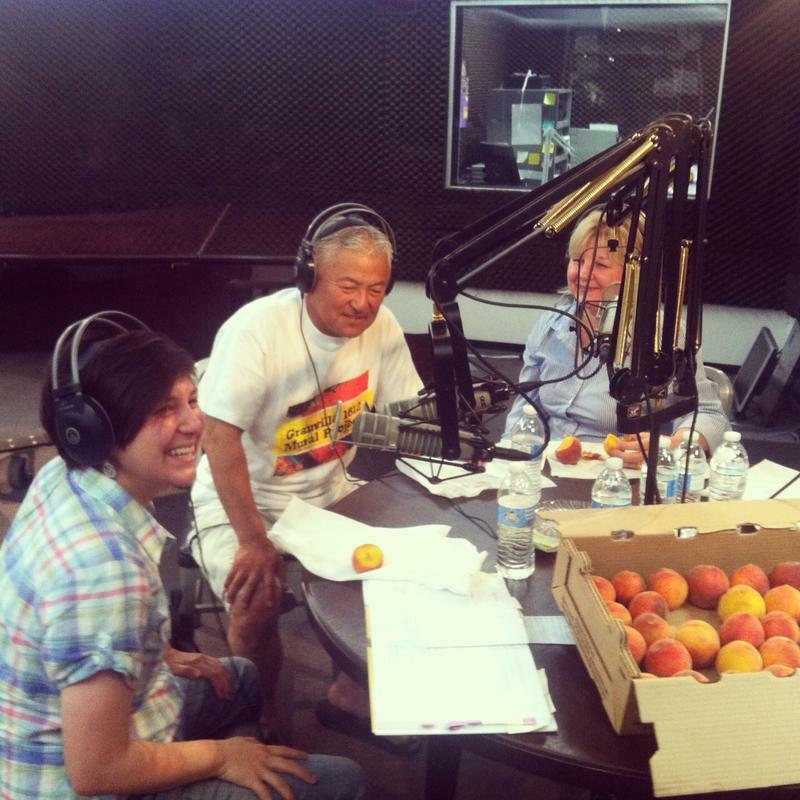 We asked David Mas Masumoto, his wife Marcy and daughter Nikiko, the authors of the new book "The Perfect Peach" to talk about their new book on FM89's Valley Edition, and to share with our listeners one of the more memorable sounds of summer. You can hear the interview Tuesday at 9:00 AM on Valley Edition, but here's a short preview. This week on Valley Edition we take a look at the end of the school year and the start of summer. Valley Public Radio's Rebecca Plevin reports on how one Valley school's restorative justice program outshines many in the region.